Cord-Patrick Kammholz is a Certified General Real Estate Appraiser in Georgia. Cord-Patrick has appraised a wide variety of property types in Georgia, Tennessee, Virginia, and North and South Carolina. Following service in the armed forces and time in manufacturing and commercial banking, he joined the appraisal profession in 2003. 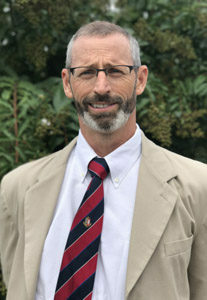 He holds an AS in Construction Management from Gwinnett Technical College, a BA in History and Economics from Old Dominion University, and a Master of Science in Applied Economics from the University of Georgia. He has been with Metro Appraisals for a total of 9 years. Cord-Patrick is a native of California, spent his formative years in Germany, and has been living in metro Atlanta for over 20 years. He is an active athlete, avid backpacker and the proud father of an adult son.